Please welcome fellow Guppy Chapter of Sisters in Crime member and Kindle Press author Elizabeth Zelvin. She is author of the Bruce Kohler mysteries and historical novels Voyage of Strangers and Journey of Strangers. Her stories have been nominated for the Agatha and Derringer awards. I don't outline, but I detest the word "pantser," which sounds pejorative to me. I'm an "into the mist" writer, ie I can see only a little way ahead and have to keep parting the mist to see what's next. I have ongoing characters whose voices I know well, but the way I create secondary characters is to listen for them and put them on the page as they show up. I've tried pre-assembling a list of traits and slapping a name on them, but they've come out lifeless and unusable. I've recently finished Career of Evil by Robert Galbraith, aka J.K. Rowling. I love the main characters in this mystery series, one-legged PI Cormoran Strike and his appealing and determined assistant, Robin Ellacot. Rowling is as much of a pro when she writes for grownups as she was for kids in the Harry Potter books, and she's as knowledgeable about modern-day England as she was about Hogwarts. There's no doubt in my mind that she deserves her success. I get pickier and pickier about what books I'll buy, much less read all the way through. I'm grateful for Amazon's "look inside," feature, because so many books sound great until you pick them up and experience the writing: flat characters, stilted or insipid dialogue, a narrative that doesn't draw you in and make you care. As a lifelong writer and editor, I have no patience for writers who aren't honing their craft or demonstrating both talent and experience. Name three not-well-known authors you would recommend and tell us what you like about their writing. Jane Casey is not that well known, at least to American readers, although one of her police procedures about Irish London detective Maeve Kerrigan won the Mary Higgins Clark Award. I like this subgenre not because procedure fascinates me but because in a good writer's hands, it can provide the framework for a suspenseful character-driven novel. Casey's on my read-everything list along with Deborah Crombie, Jill McGown, and the late Ruth Rendell's Wexford novels. Donna White Glaser is a former Guppy who, like me, is a Kindle Scout winner with the first in a series about a slightly paranormal protagonist whose job is cleaning crime scenes. She's also written a series about a therapist who's a recovering alcoholic. Both series and their protagonists are engaging, and the books are funny. She's grown enormously as a writer since I read some of her unpublished work. As a therapist myself, I can say she gets that part right. And it's nice to know I'm not the only mystery writer who sees the humor in sobriety. Betty Webb is a fine writer I've known for years on the mystery e-list DorothyL. The prestigious Poisoned Pen publishes both her series: the Lena Jones PI novels, set in the American Southwest, which tackle highly charged issues of social justice, and the Gunn Zoo mysteries, which are fresh and delightful cozies. One of the Lena Jones books, Desert Wives, contributed to changes in legislation regarding abusive polygamous cults. In the recent The Puffin of Death, the zookeeper protagonist visited Iceland to pick up a polar bear cub. Webb deftly blended the murder mystery, a lively cast of characters, and a fascinating picture of today's Iceland in just the right proportions. I tend to subtract words, because I try to remain uncritical as I write the first draft. My motto is, "Just keep telling the story." I put down plot points as I think of them, so when I revise, I may want to keep just one and place it exactly where it needs to be to generate suspense or reveal character. I'm also constantly on guard against being preachy--about addictions and recovery in the Bruce Kohler mysteries and about intolerance, bigotry, and genocide when I'm writing about my 15th-century characters. 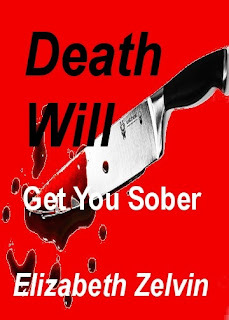 With the manuscript of my most recent Bruce mystery, Dead Broke (aka Death Will Pay Your Debts), I cut 6,000 words between the first and the final draft, most of them over-explaining about AA and other 12-step programs. I kept the references that furthered the plot or were essential to revealing character. My pet peeve is the split infinitive. When I was working as an editor for a big publisher in the 1970s, I was once ordered to restore all the split infinitives, because the authors, who were not writers, "didn't like them." Sheer torture! And I hate how it's somehow crept into popular usage that it's okay to separate the "to" and the verb if the word between them is "better," as in "to better understand." Example: "I've come to better understand this issue." Would it kill 'em to say, "I've come to understand this issue better"? It's the other way around: most copyeditors cause me to pull my hair out. I learned to edit at a young age at my mother's knee, and I'm a natural speller. I've had them deconstruct my idioms, tromp on my jokes (particularly infuriating when they've done it after I signed off on the proofs), and replace every correctly placed comma (between independent clauses--and not between dependent clauses modified by a single preposition) with incorrectly placed commas that I had to spend hours restoring. They've also queried facts in my historical works that I'd laboriously researched in university libraries in books and articles published as far away as Turkey and India by saying, "I couldn't find this in Wikipedia." I've had wonderful substantive edits that helped me a lot with structure and pace, and I've been blessed a couple of times with short story editors who left the story alone because I'd gotten it right the first time. But a copyeditor who really knows her stuff (ie what to fix and what to leave alone) is a pearl beyond price. My most recent work, Journey of Strangers, is the sequel to my first historical novel, Voyage of Strangers, which was in turn a sequel to two short stories that first appeared in Ellery Queen's Mystery Magazine. I knew I wanted to continue the story of my young Jewish sailor, Diego Mendoza, and his sister Rachel. I had to research the general sweep of events in Europe, the Ottoman Empire, and the Guinea Coast in order to inject my fictional characters into the stream of history. 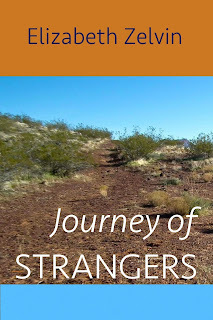 I started Journey of Strangers where Voyage of Strangers left off: Diego and Rachel, sickened by the enslavement and massacre of the Taino people, return to Europe. When the Jews were expelled from Spain, Diego and Rachel's family fled to Italy, which was relatively hospitable to Jews at the time. But a major war started, the political landscape of Italy changed, and the family had to flee again. I had to send Diego and Rachel across Europe to find them. In the course of my research, I learned that in 1493, the King of Portugal abducted 2,000 Jewish children, forcibly baptized them, and sent them as slaves to São Tomé, an island off the coast of Africa to be slaves on the sugar plantations there. So I created Joanna. Her compelling changed the shape of the book. The Mendozas had to end up in Istanbul, because so many of the Iberian Jews did. But what would they do there? A footnote on Jewish women who acted as purveyors to the Sultan's harem gave me a job for Rachel. There had to be a love story. And then I had to tie everyone's story together . . .
Don't quit five minutes before the miracle. There's not a writer alive who doesn't deal with discouragement, whether the ideas are not coming, the words not flowing smoothly, agents and editors not biting, or readers not buying. Sooner or later, it will change, as long as you keep going. And if the miracle leads to disappointment, don't quit five minutes before the next miracle. You can learn more about Liz on her author website at http://elizabethzelvin.com and friend her on Facebook at http://facebook.com/elizabeth.zelvin. All of her books and stories are available on Amazon at http://tinyurl.com/zelvin-amazon. 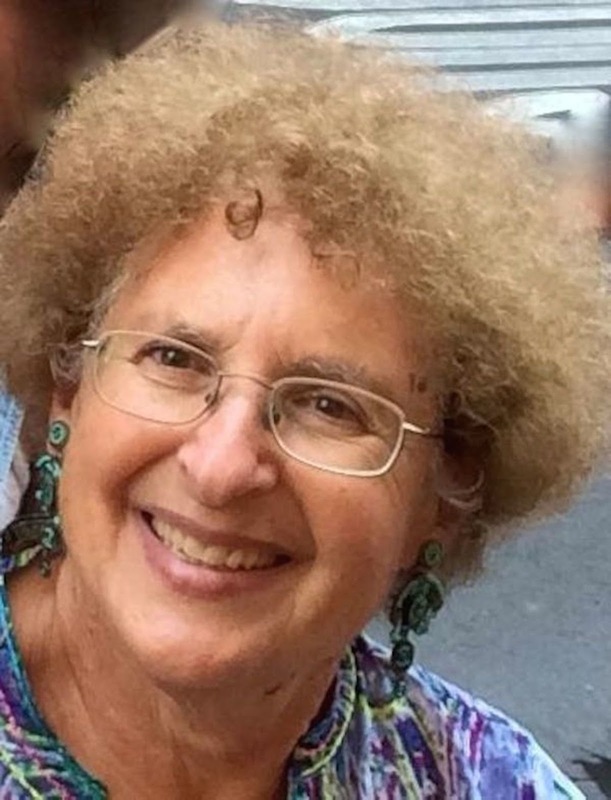 And if you search Liz Zelvin instead of Elizabeth Zelvin, you'll find her music site at http://lizzelvin.comand Outrageous Older Woman, her album of original songs. Elizabeth Zelvin's latest publication is her Kindle Scout winning historical novel, Journey of Strangers, a sequel to Voyage of Strangers. She has just released a complete e-book edition of her Bruce Kohler mystery series, starting with Death Will Get You Sober and including four novels, a novella and five short stories. Her short stories have have appeared in Ellery Queen's Mystery Magazine, Alfred Hitchcock's Mystery Magazine, a variety of anthologies including Sisters in Crime New York’s Murder New York Style series, and Mysterical-E among other e-zines. Liz’s work has been nominated three times for the Agatha Award and for the Derringer Award for Best Short Story. A standalone story, “A Breach of Trust,” was listed among 50 top stories in Best American Mystery Stories 2014. 1493: Joanna is one of 2,000 Jewish children torn from their parents on the Lisbon docks and sent as slaves to a pestilential island off the African coast. 1495: Diego Mendoza and his sister Rachel return to Spain in 1495 after two years with Columbus in Hispaniola, heartsick at the destruction of the Taino. With their friend Hutia, a Taino survivor, they search war-torn Europe and the pirate-infested Mediterranean searching for the family they lost when the Jews were expelled from Spain. Joanna endures abuse and tragedy, determined to survive. In Istanbul, heart of the Ottoman Empire, Rachel finds work in the Sultan's harem. Hutia, determined to marry her, adopts a new name and a new faith. 1497: Only Diego's life lacks purpose. Inspired by tikkun olam, the Jewish mission to repair the world, he sets sail for the hell Jews call the Isle of Crocodiles. Thanks Liz, your miracle advice is timely. And I can adapt to your stylist description, "into the mist" which sounds impressively spiritual rather than inexperienced. Good questions, Jim. I have a penchant for research myself, and I will be buying VOYAGE OF STRANGERS. Sounds great!